The Wish Upon A Star collection is the perfect gender neutral collection in crisp white with touches of silver. Features a sweet white bear and silver star and foil details. Prewashed Soft Bamboo Viscose/ Cotton Muslin. 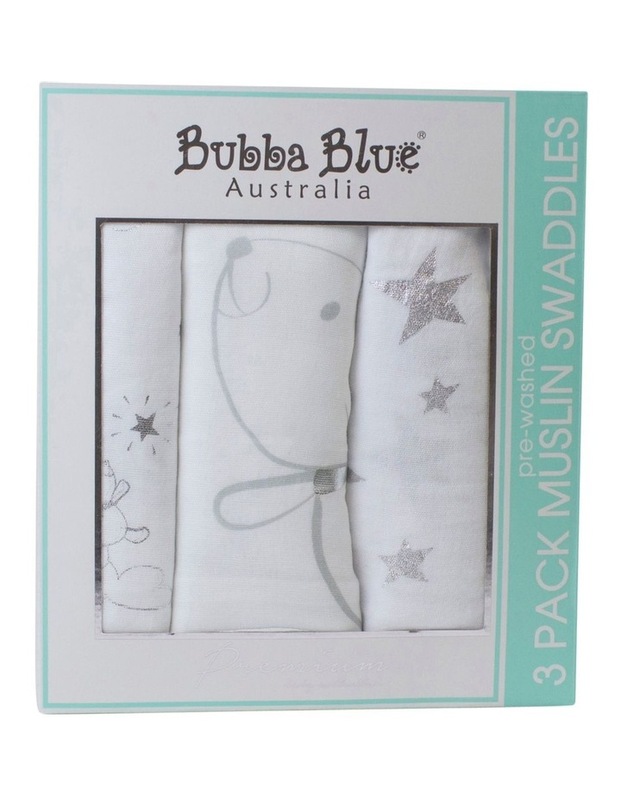 Our soft Muslin Swaddle Wraps will secure most babies for a comfortable & peaceful rest.